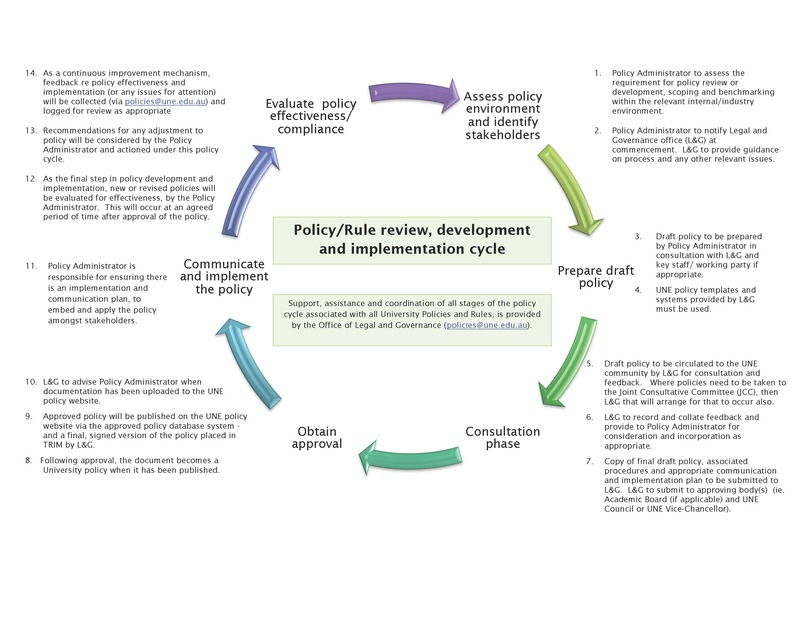 The following templates are available for the development of policy documentation. They are referred to in Step 4 above, and will provide a consistent format to be used to develop draft material. The use of the template allows for a seamless upload into the UNE Policy and Compliance Registers.